This weekend a whole new generation of kids who missed the 2007 animated film will head to theaters for the re-release of the extremely popular Teenage Mutant Ninja Turtles movie. While this animated classic film is fun and great entertainment we have an important message for consumers and especially, parents. Since the first movie came out in 1990, hundreds of thousands of live turtles, mostly water turtles called red eared sliders, were purchased for between $10 and $25 after each TMNT film was released. Soon after many, if not most, were dumped and even deliberately killed or flushed down the toilet. Unfortunately, children don't realize real turtles do not fly, perform stunts or do any of the exciting moves and heroics fictional movie turtles do. 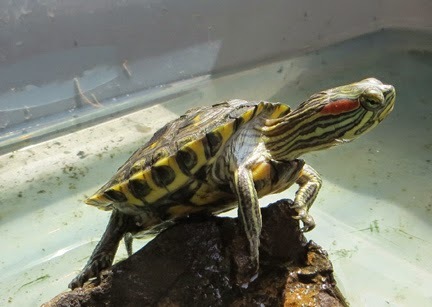 Moms and Dads, trying to please their children, purchase live turtles as pets -- most taken out of the wild and sold through pet stores and a variety of other sources. Sadly, the turtles soon lose their appeal to kids. They end up dumped illegally into rivers and lakes as well as dumpsters, flushed down toilets or relinquished to shelters and overcrowded rescues and ultimately, about 90 percent of them die. Here’s the bigger problem. Turtles carry salmonella which can make a child, the elderly and those who are immune suppressed very, very sick and can even kill them. That’s why turtles less than four inches were banned from sale in the U.S. in 1974 and still are…tiny turtles easily fit into a child’s mouth and children don’t wash their hands after touching turtles. This illness is an ugly problem causing nausea, vomiting, bloody diarrhea and in extreme cases, can even cause death. A nine month old baby in Los Angeles got salmonella meningitis from a turtle after its parents touched it and then held the baby. 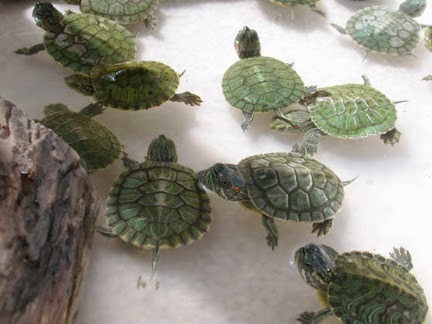 We do not recommend live turtles or tortoises for children under 13 because of salmonella exposure and because younger children lose interest almost immediately. Turtles have been around for 200 million years and outlived the dinosaur. Is this the way we want to treat our precious disappearing wildlife? What can you do to help? Buy Ninja action figures and toys instead of live turtles for pets. 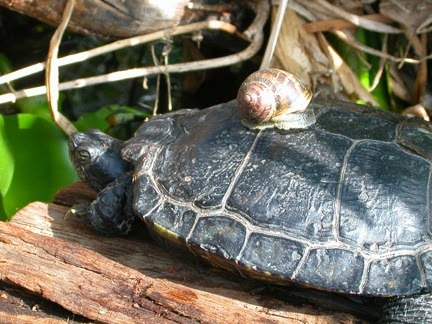 For more on protecting turtles visit American Tortoise Rescue at Tortoise.com. You can also stay informed on turtle rescue and preservation by following the organization on Facebook, Twitter and YouTube. FTC Disclosure: American Tortoise Rescue provided the content and images for this post. However, no payment or other compensation was exchanged in connection with this post. See complete FTC Disclosure information that appears at the bottom of MommyBlogExpert's home page and at the bottom of every individual post on this blog, including this one.